Compensation for this post provided by Jergens via Mode Media, but all opinions expressed are solely the author’s. Spring took its sweet time to arrive in New York City and I have a feeling summer won't be doing the same. I'm pretty sure summer will have a temper tantrum and one sweet day he will show his face with 90 degree temperatures. Not that I'm complaining though! However, given that the beach is not all that easily accessible from the concrete jungle, I want to be ready to show off a flawless tan. And that's where the Jergens® Sunless Tanning Collection products steps in to help a girl out. Your very own flawless tan is an instant away - three steps away, to be exact. 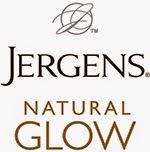 The Jergens® Natural Glow® line is available at your favorite drugstore and it consists of three products, all essential to achieving that flawless tan we've been talking about. 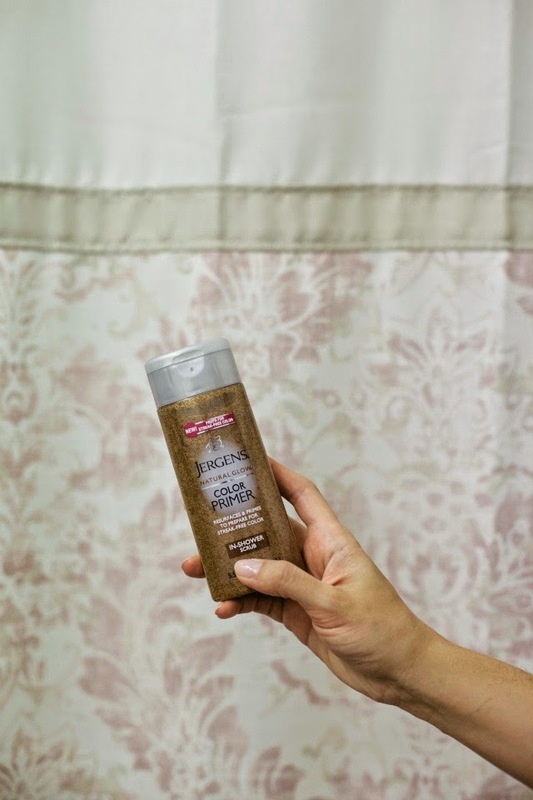 Start off by prepping your skin while in the shower with the Primer In-Shower Scrub. Dry your skin well and follow up with the Instant Sun Sunless Tanning Mousse - no orange here! Finish off the process with the Tan Extender Daily Moisturizer (side note, it smells incredible!) and you'll be on your way to a flawless tan without having to step on the beach. Perfect for us New Yorkers! And because everything goes better with a tan I'm willing to bet this will put a big smile on your face and those summer whites will look that much better on your new tan skin. Oh! And before I forget this fun and very important fact - the products are 100% safe to use when pregnant. Yes, fabulous, right? Life's too short to spend hours in the sun. 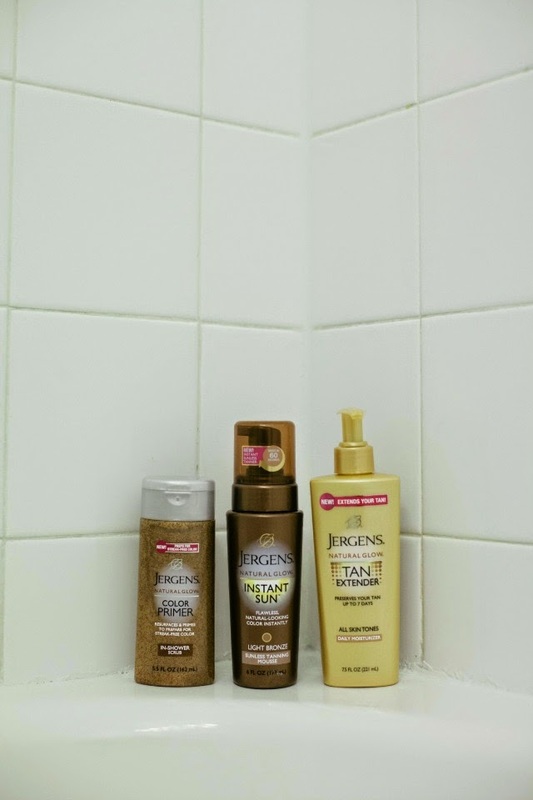 Tan in an Instant with the Jergens® Instant Sun collection.